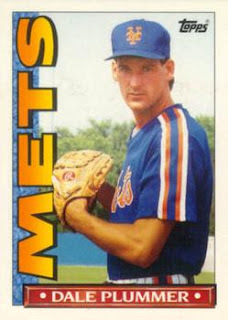 Dale Plummer pitched in the Mets and Red Sox organizations from 1988 to 1995. The Red Sox called him up to the major leagues in 1995 but was injured and never got to pitch in the major leagues. Now the head baseball coach at Colby College, he kindly answered my questions about baseball cards. Card picture day was always cool for me. 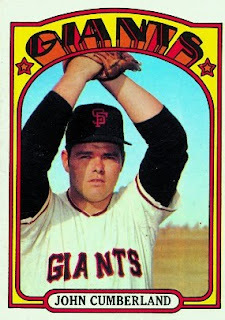 I always remembered the days when I was in Little League and hoped one day I would have a professional baseball card. Yes, NY Mets 1990 Topps. I have favorites and my favorite card was of my uncle John Cumberland when he was with the Giants. I do have some but am not an active collector. Cool stuff. Thanks for the link. Always good to hear from a CMC guy.